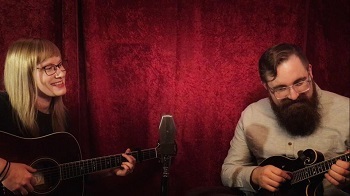 The Cave Twins is David Mayfield and Abby Rose, identical twins separated at birth and reunited in song. David is a Grammy- and Emmy-nominated artist grew up in a family band and has toured and recorded with groups like The Avett Brothers, Black Keys, & Mumford & Sons, and made numerous appearances on television including The Late Show with David Letterman & The Grand Ole Opry. Abby has toured extensively with Northeast Ohio supergroup, “The Speedbumps”.